New research is leading the way in the belief that food capsules that fool the body into believing it has a full stomach may be the key to managing the obesity epidemic that seems to be afoot in Britain. London scientists think that capsules that replicate the results of gastric bypass surgery and making the body feel as if the stomach is full could be the answer. The research may be a path to new treatment options for type 2 diabetes and obesity, according to researchers from Barts and the London School of Medicine and Dentistry. Obesity in the UK has made a jump from 15% in 1993 to 25% in 2011. This has caused an increase in weight loss surgery by 30 times with more than 8,000 surgeries annually within the hospitals in addition to many others in private clinics. These surgeries are costly and in most cases irreversible. They are an option for obese individuals that have tried other types of treatments and failed. These include lifestyle changes and involvement in public treatments. It has been discovered by studies funded by the Bowel and Cancer Research and the Wellcome Trust that specific food supplements can trick the human body into thinking the stomach is actually full. In obese individuals, the signals are given by the small intestine that tells the brain it is full are ignored. Researchers believe that they can replicate the effects of gastric bypass surgery, which essentially reroutes food so that it passes into the small intestine and goes directly to the lower bowel. This is when the hormones that suppress appetite and release insulin is released making the body feel full. It is now believed that a special food supplement can target the lower bowel causing it to stimulate and release the same hormones that the bypass surgery does. This triggers the body to think it is full and releases glucose. The only known possible side effect of the supplement is nausea, which is controllable.Follow up with a physician will be necessary as with any weight loss solution. Patients will nee to be sure that they follow a healthy diet and exercise plan just as they would with any weight loss effort. The supplement would interact with a fatty acid, protein sensing pathways and amino acid. The next step for researchers is finding sufficient funding to take the research and development of the supplement to the next level. Since the science is very new it can be difficult to find sufficient funding.The thinking behind the science is that the supplement will offer patients a more affordable, less invasive way to get their health back on track. The studies show positive results in affecting the way that the lower intestine reacts and the messages that are sent out to the body. While gastric bypass is considered to be one of the most effective weight loss surgeries for treating type 2 diabetes and obesity, it is costly and irreversible. Utilizing a supplement could provide the same results while offering a lower price tag as well as the ability to reverse or stop the treatment if deemed necessary. Researchers have had excellent success in their trials to target the lower bowel and are hopeful that the supplement will be available and implemented in NHS hospitals within five years. This may make a huge impact in the excessive weight gain seen throughout the world and could impact individuals with a new lease on life. 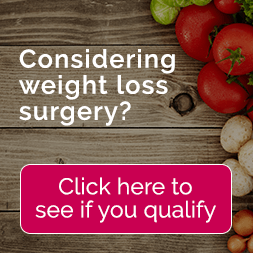 The new science could put legitimate weight loss options in the hands of those that may have had no other alternatives available and that were not good candidates for surgery.